The New Business Division started by launching our first cosmetic “More Beauty Triple ∂Effect UV Block” in 2013. With the aim of “Building a Beautiful and Healthy World”, we could create a nature brand, PHARMTREE Brand. We wish to develop more public-friendly cosmetics which are used in common life. We will do our best to provide various products which match consumer life styles and their needs. 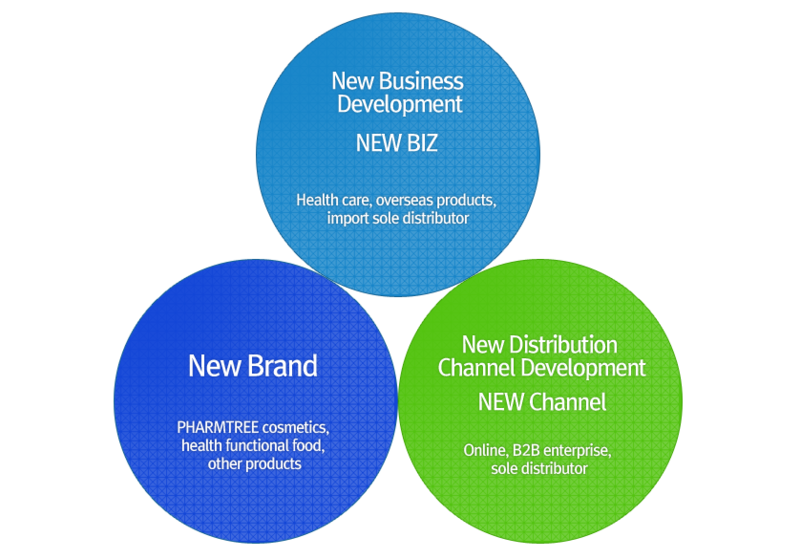 In February 2014, we opened the PHARMTREE Brand PR website (www.pharmtrees.com) and our online shopping mall(www.pharmtreemall.com) while running a blog and using Facebook as ways to communicate with consumers. We welcome your business suggestions and opinions. We are dedicated to providing safe, reliable, and healthy products more conveniently.